AT&T is full of logical fallacies. From how they grade technicians to the software we are forced to used to do our jobs. 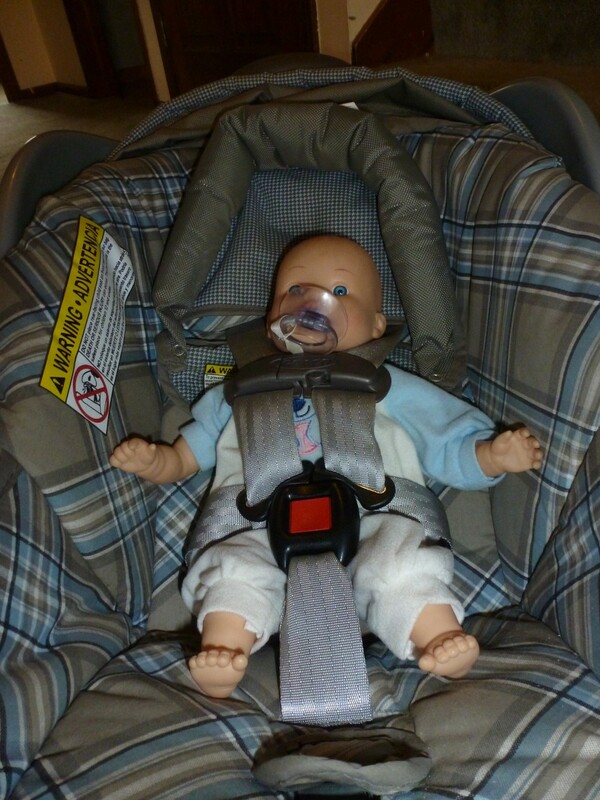 In fact, they firmly believe that 100% of accidents are preventable. Basically saying there are no such thing as accidental accidents. One thing I stand by, is the Smith Driving Keys. They're a little ridiculous at first, but when you get used to it and see it in action, it's really the only safe way to drive. I have adopted this way of driving in my personal vehicles and continue to annoy my wife by trying to get her to use them. When the time comes, my kids will learn to drive using these keys. When driving, we tend to stare relatively close. We watch the bumper of the car in front of us which is a poor habit of being aware. Aim high means you look up over the car ahead of you. You look into the future of where you're going to be in 15 seconds. Is there a broken vehicle? Stopped traffic? Debris in the road? You'll know if you look out 15 seconds ahead of you. Make sure to look for traffic control devices such as stop signs and stop lights. 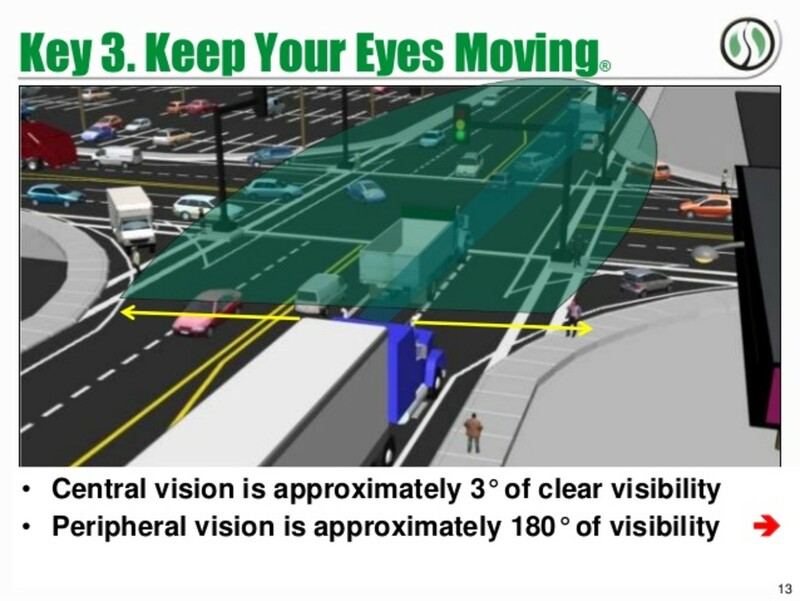 Watch upcoming intersections. Pay attention to merging traffic and traffic pattern changes. Your goal is to have the most time to react to possible upcoming safety issues. 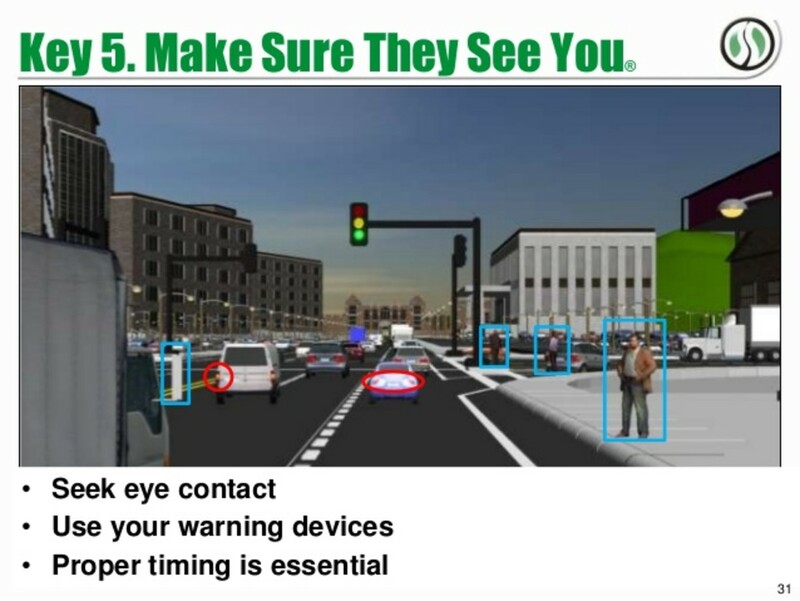 While you're looking 15 seconds ahead, don't forget to be scanning your surroundings. What is next to you or behind you? Look at your mirrors every 5-8 seconds to see what's around your vehicle. You want to make sure you know where anything that can affect you is located. Vehicles or pedestrians alike. Imagine worst case scenarios. The truck next to you could have a blow out or the car behind you is swerving. You want to remain aware at all times and constantly update information. 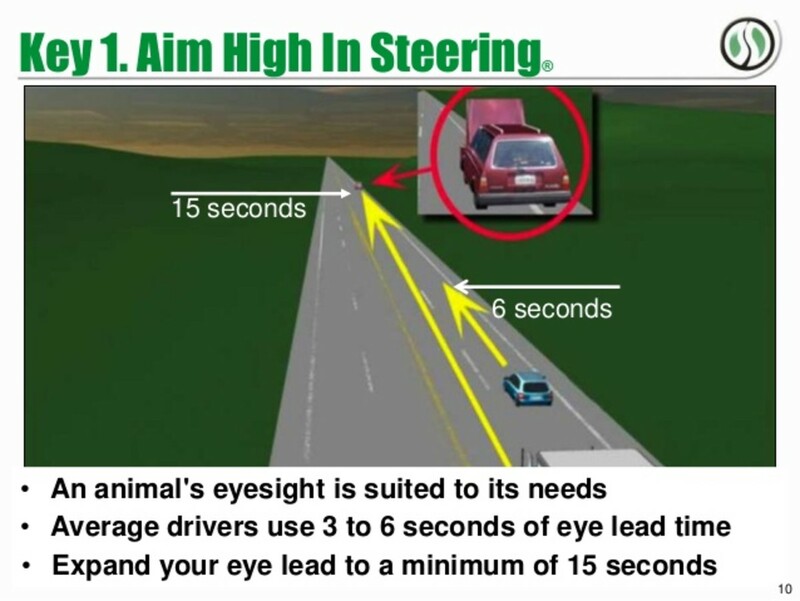 8 seconds from now, the swerving car could be beside you and you need to be aware. It's somewhat of a habit to get focused on 1 object. This causes a blinder effect which leaves you vulnerable every place you're not looking. Keeping your eyes moving will constantly refresh your brains incoming information which in turn keeps your brain active and alert. This is also a way to keep from getting distracted by staring at that billboard or nice looking car. You're traveling at a high rate of speed and the environment is constantly changing. You want every second of information about anything around you. You don't want to be sandwiched between two obstacles if you need to make an emergency adjustment. 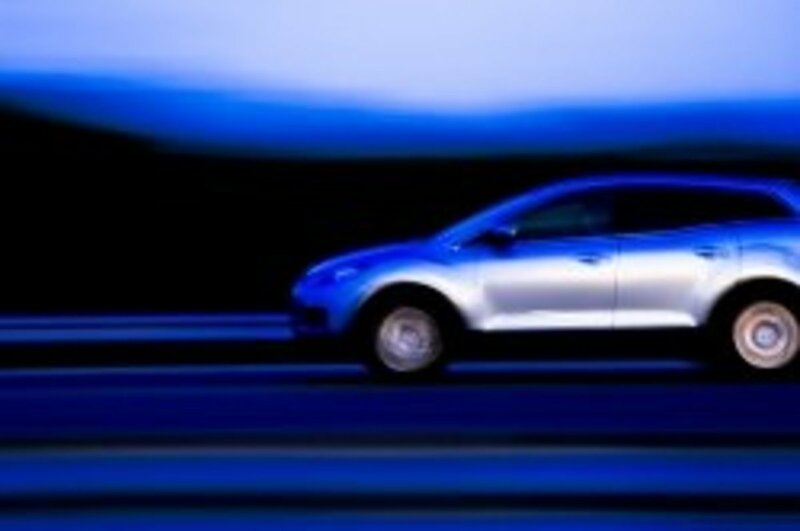 You want enough space to abruptly stop, speed up, or swerve left or right to avoid a safety hazard. 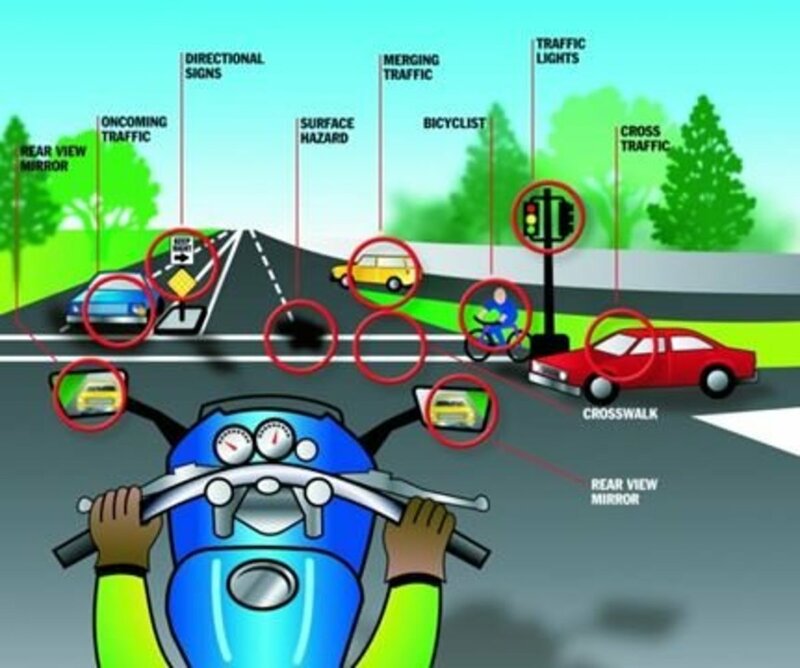 This also keeps you safe from other drivers who may have to make a split second decision. Imagine your car is a bubble. If you get too close to another vehicle, your bubble bursts. We call this a space cushion. It's standard practice to follow at least 4 seconds behind the car in front of us in good weather. We increase our space cushion in poor weather or visibility. You don't want other vehicles to be surprised by you. Other vehicles should be made aware of you and your intentions. Ensure you're not tailgating or driving in someones blind spot. A good standard to practice is to look in another vehicles side mirror. If you cant see the drivers face, it's highly likely they can't see your vehicle. Make sure you use blinkers in a timely fashion. As in, not 10 feet before your turn or lane change. Do you see an abrupt stop coming up? Tap your brake lights a few times to alert the drivers behind you. Come to a stop as slowly as possible to give the other drivers time to react to your speed adjustment. These rules apply even when stopped in your vehicle. They should be applied anytime you are behind the wheel of a vehicle. When stopping at a stop sign or stop light. A good space cushion when stopping is to leave 1 car length between you and the car in front of you or the white line at the intersection. This ensures you have time to pull up a little if a car behind you can't stop in time. 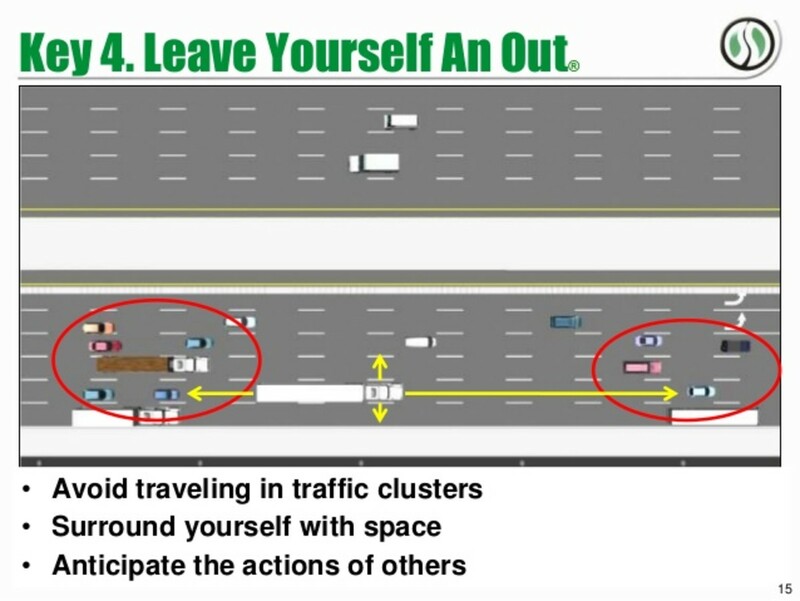 It also ensures that if you were to get rear ended, you're less likely to hit the car in front of you or run into passing traffic. We get honked at a lot and you may too, but we also don't immediately go when the light turns green. Light turns green, look left, then right, then left again. Emergency vehicles or other vehicles could be coming and you don't want to be in the intersection .5 seconds after the light turns green. If a car is tailgating you, slow down until the car passes you. These aren't included in the Smith Keys but are added precautions that have been added to our driving procedures. This isn't limited to cell phones. Tablets, vape pens, Bluetooth headsets, etc... The only electronic allowed in the cab is the GPS unit. This is the real reason you see AT&T trucks with cones out. It's not about diverting traffic (so they say), it's to ensure we have to walk around the entire truck and look for any potential issues before we drive off. Recently, a FedEx driver performed the circle of safety and found a toddler under his truck tire. They claim that most minor accidents happen while backing out of driveways and parking spots. For this reason, we can only park on the street (with the flow of traffic), in a parking spot we can pull through, or backing into a driveway so we can pull straight out and see traffic. We're also not allowed to park in the most convenient parking because it's likely it's not the safest. So when we go to lunch, we park all the way in the back or in an adjacent parking lot where there is less traffic. We're not allowed to park across the street from a driveway. This is hard to do in some areas but if a car can back out of their driveway and hit us, we parked in the wrong spot. Should Car Manufacturers Install Airbag Systems or 5 Point Racing Harnesses?